Aging should not be the reason for you to stop going out and staying connected with other people. In fact, you have to be more socially-inclined given that your family members will have their own careers and social lives themselves. However sometimes, maintaining a safe and clean house will never be as easy as before. House chores may take a lot of your time now than ever and sometimes it can be pretty dangerous when your motor skills and memory fail you along the way. If your elders join a cooking or art class or even take a tai chi lesson, this can actually improve their health. Studies show that people who have a more active lifestyle can boost their immune system and they are less likely to develop certain diseases. Being with other people like for instance, if they travel with a group of older adults or if they can visit friends and family or join a group interested in hobbies like painting, knitting, hiking, can actually lengthen their lifespan. Most seniors tend to get depressed as they retire because it would seem their social life has ended. But actually, it shouldn’t be the case. They can already have more time to enjoy the social life given they have less time for work. 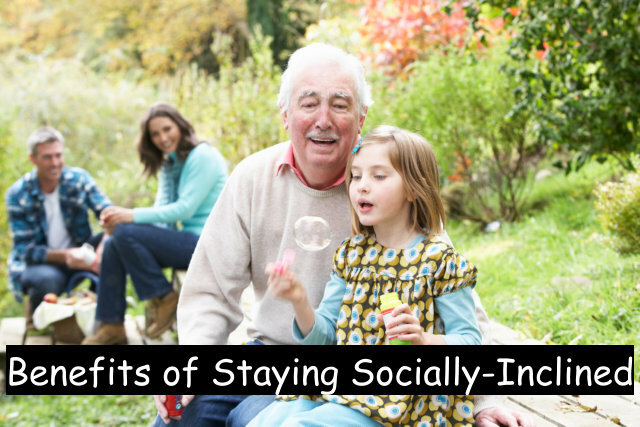 Having a good social life can really increase happiness thus prevent depression for your elderly loved ones. Sharing something in common with other people is a fun way to be more productive with time. Also, one is never too old or too young to learn something new; they can also feel a sense of fulfillment along the way. Who says getting old means memory loss and all that? It is not necessary to settle down with that thought when your elderly seniors they can still improve them with your provider of home care in Louisiana. With the approval of your doctor, your home care provider should be able to provide different recreational activities to keep their cognitive abilities patched up. Given that they more time with the family members than think about the house chores and other meal preparations for themselves, there’s no need to worry! Home care can actually do them for your elderly loves ones to be able for them to spend more time with you! Bayou Home Care is the best agency for home care in Louisiana! Contact us today and let your elders experience a new kind of social living! Our healthcare professionals only aim to give what is best for your elderly loved ones. Consider Bayou Home Care as your provider of home care in Louisiana today! This entry was posted in Home Care, Home Health Care and tagged home health, respite care, senior care. Bookmark the permalink.